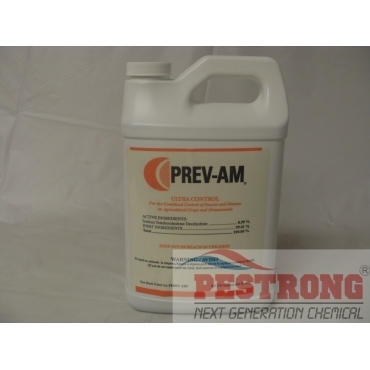 Where to Buy Prev AM Insecticide, Prev-AM 3-in-1 Insecticide Fungicide Miticide - 0.5 Gallon - $49.95 for Sale with Fast Free Shipping! Prev-AM 3-in-1 Insecticide Fungicide Miticide - 0.5 Gallon provides fast acting & broad spectrum and superior spreading & coverage. Vendetta Plus Roach Gel Bait Insecticide -..
Prev-AM is an ideal "rescue" treatment for sudden outbreaks and population explosions or as a pre-harvest, clean-up spray. Its quick knockdown can stop some pests in minutes and, in general, its level of control is accomplished within 24 hours. Prev-AM's 3-in-1 control of insects, diseases and mites means growers don’t have to buy multiple contact pesticides to control these pests – saving them money and reducing storage and inventory concerns. Prev-AM can be used on an extremely wide variety of field and row crops, fruits, vegetables, tree nut and ornamental crops to help simplify growers’ pesticide decisions. requires no additional adjuvant be added to the spray tank. It is also effective within a wide range of pH levels so no buffer is required. Excellent product. Its knockdown strength and speed is incredible. I recommend this to anyone that needs a quick and sure pesticide.